With three teams from Istanbul in Group E in the Top 16, there are going to be a lot of Istanbul derbies to look out for. Hot on the heels of last week’s matchup, we have another local encounter and the hosts are 0-3 while they welcome the only team with a 3-0 record in the Top 16. On paper, this game should only go one way. There will be plenty of experience in the Darussafaka team and four players, Ogus Savas, Serhat Cetin, Emir Preldzix and Semih Erden combine to accumulate a total of 28 seasons for their opponents. This means that there will be few surprises for the home team and the fact that Savas and Preldzic are the two top scorers for Fenerbahce adds additional spice to this game. There will be plenty of incentive and motivation for the hosts to put away their fancied opponents but Dogus know that they have a very tough task in front of them in this game. Scottie Wilbekin needs to deliver a strong performance for the hosts. The away team will be keen to move on to a 4-0 record and put them in a great position for advancing from the Top 16. The team is currently leading the Top 16 with respect to rebounds, fouls drawn and blocks, which tells a lot about their energy and all-action style. Bogdan Bogdanovic has been one of the key players this campaign but players like Ekpe Udoh and Jan Vesely have also delivered plenty of exciting moments. 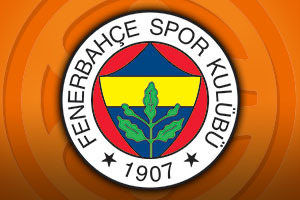 This is a game that Fenerbahce will fancy themselves to win but they will know that the local derby aspect adds another element to this game which they will need to manage. 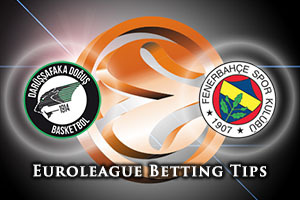 As you would expect, the away team are the favourites for this game and you should look to take Fenerbahce Istanbul at -6, which can be found with odds of 1.90. If you are keen to check out the Over/Under market for this local derby, you should go OVER 150.0 which can be found at odds of 1.90. Bet Now!